The upcoming release of Disney Infinity has gamers on the edge of their seat with excitement. The pre-orders have been placed, the game system has been dusted off and now we just have to wait for the August 18 release. Disney Interactive have been keeping our interest piqued with a set of incredible video sneak peeks and behind-the-scenes looks into the making of this highly anticipated game. 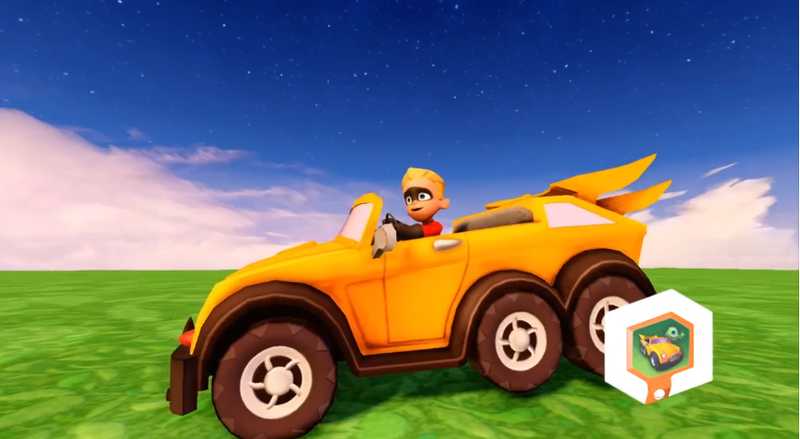 One of the official Disney Infinity videos (which has temporarily been removed) shows how the characters of Disney Infinity were created...and offers us our first glimpse at the Disney Infinity Buzz Lightyear and Woody characters. Some additional details have shown us more details in regards to the upcoming Toy Story playset as well, in which we find our friends in space - watch in this Disney Infinity video! 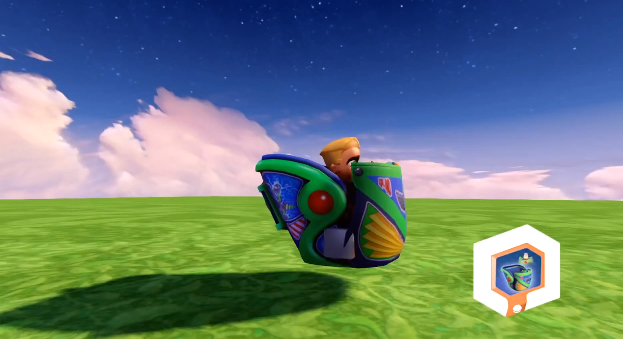 Another incredible video features the POWER of the Disney Infinity Power Discs. Each disc can be used to improve and enhance the game/character in multiple ways (we discussed the first wave of Disney Infinity Pixar Power Discs in a previous post back in March). There are two types of Power Discs, the circular power discs can be used in the Play Sets and in the Toy Box to grant special powers to characters. The Hexagonal Power Discs allow for more customizable play in the Toy Box, unlocking vehicles, themes and special gadgets. Remember, the main idea behind Disney Infinity is "The Possibilities are Endless!" 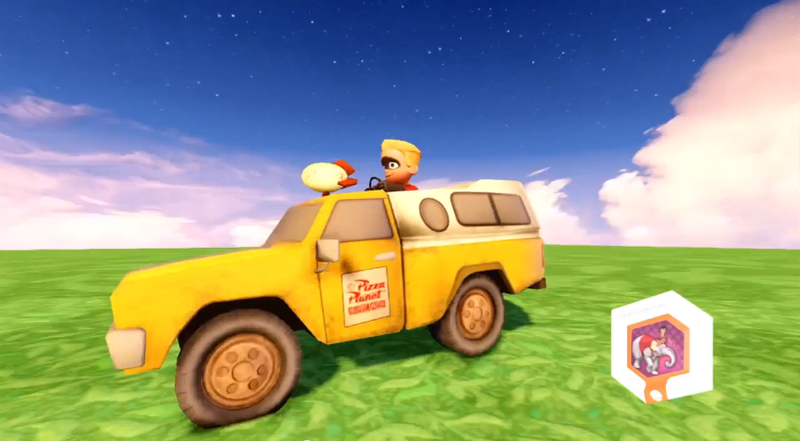 In the video clip did you happen to catch any Pixar vehicles? If you look close enough you'll see the Pizza Planet Truck, Mike Wazowski's car and a ride vehicle from Buzz Lightyear Space Ranger Spin (a ride at Walt Disney World and Disney Land)! If you also notice in the screenshot at the top of the page, it looks like you'll also be able to play as Merida's trusted horse, Angus, from Brave. Does this also mean that Merida will be available in the game in the future? We hope so - it would be a blast to build a toy box version of Scottish Highlands and battle Mor'du. The full list of Pixar Power Discs (that we're aware of at this point) have been listed on our forum post. If you spot any new power discs, please let us know. 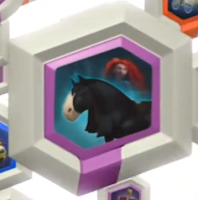 The video above gave us our first glimpse at Angus (Merida's horse), Violet's shields, WALL-E's sky dome and a lot more. Again, read more in our forum post. If you haven't pre-ordered Disney Infinity yet, there's still time. 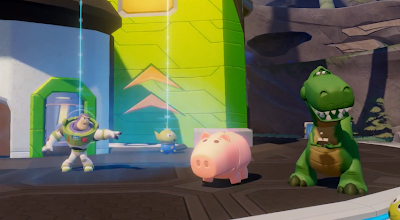 Remember that when you pre-order the starter pack, you will also receive an additional Disney Infinity character for free.